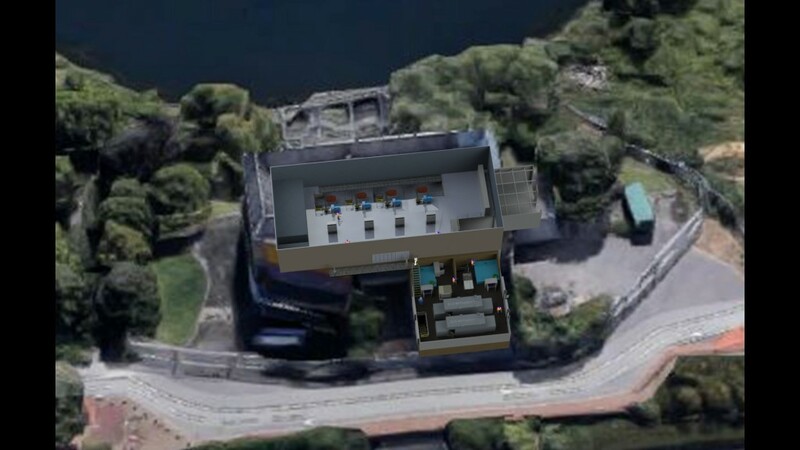 Lake 4 is a flood relief pumping station which services the Thamesmead area in south east London. 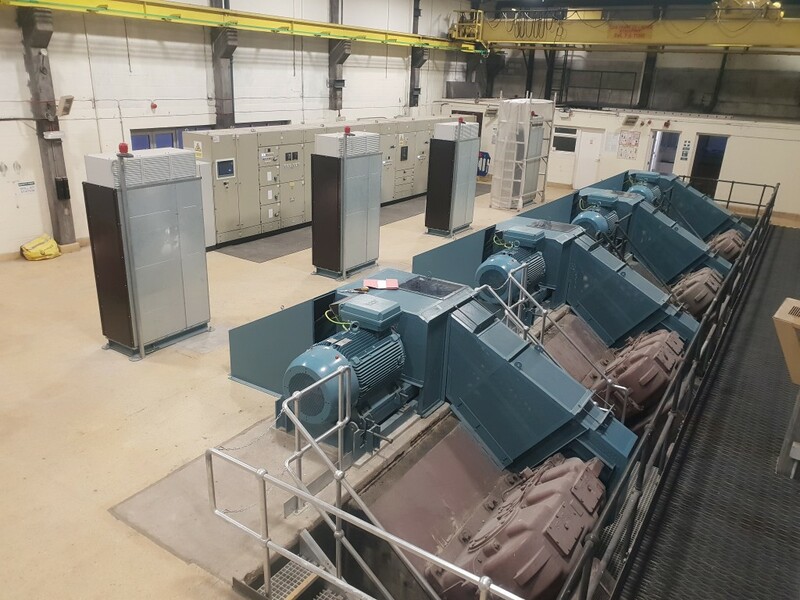 It is comprised of 4 Archimedes screws which pump 2.4 Tonnes of water per second into the river Thames from Lake 4 which is fed from ground water. 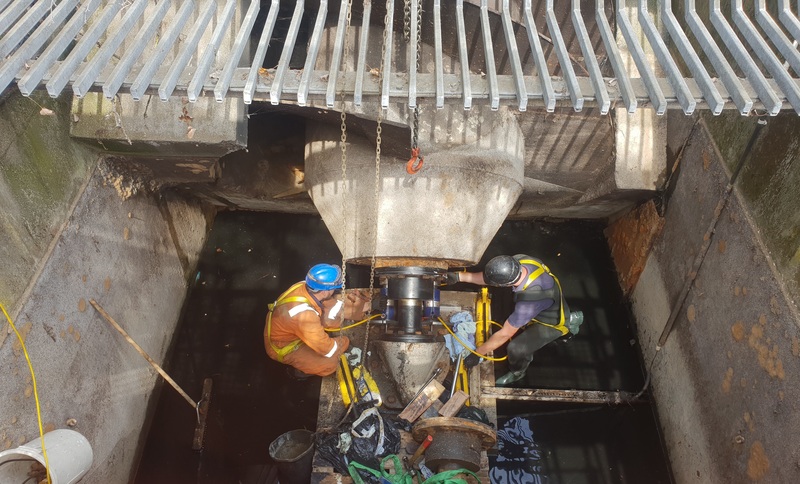 The work undertaken involved replacement of two motors and two diesel engines with four International Efficiency 4 class super premium 315kW motors and low harmonic Variable Speed Drives. 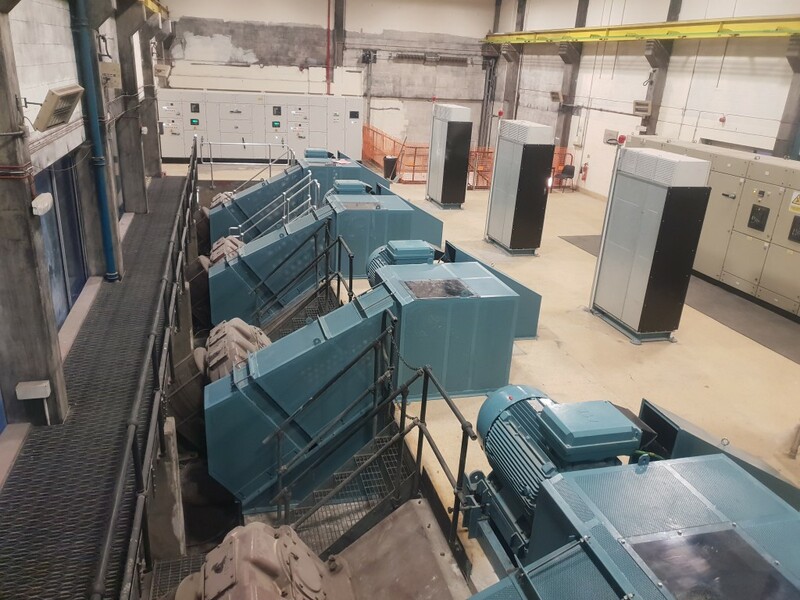 To provide a diesel back-up power source, two 550kVA EU stage III generators where also installed. These give the station the ability to run 2 pumps automatically in the event of a power-failure. 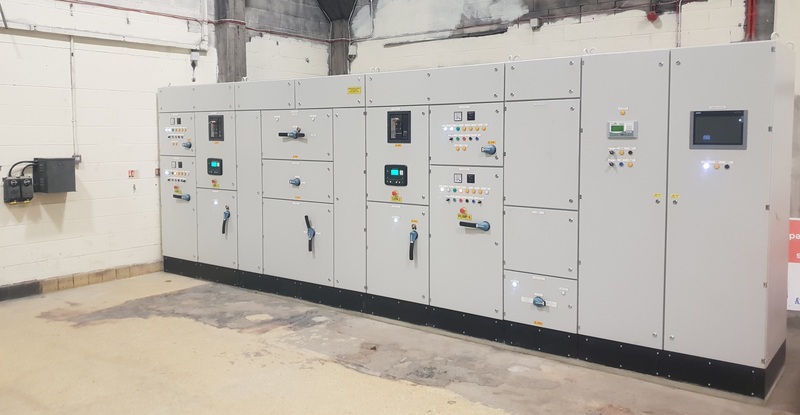 Huntons also designed, built and commissioned a new control panel to control two of the leadscrews compromising of a PLC, HMI and custom software. In order to facilitate the ongoing maintenance of the plant, a single level deck was constructed in the original fuel bund area. 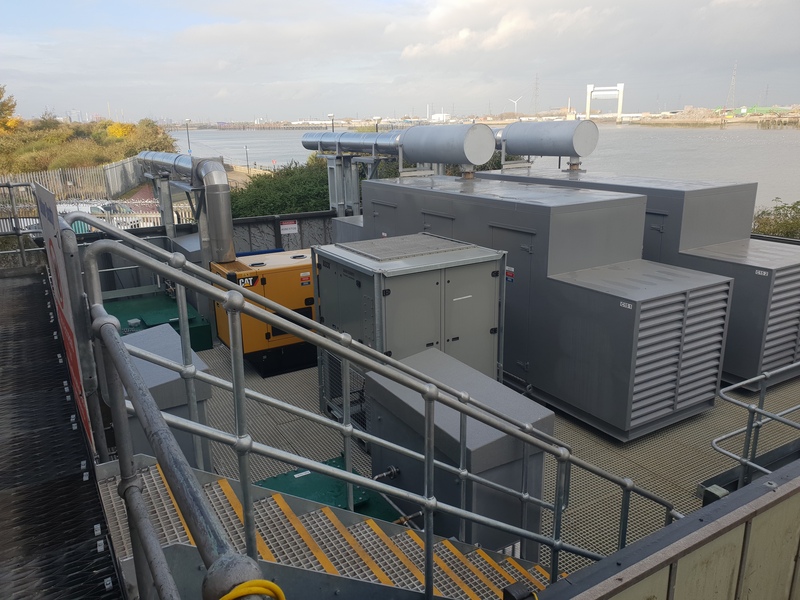 This has given the maintenance team good access to all 3 generators and their ancillary equipment. Huntons also built two new 25,000 litre diesel tanks to feed the new generators.